Photo: Paul Wellman A plan is underway to restore native grasses and trees to Hammond’s Meadow (pictured) with respect to the land’s Chumash importance, past and present. A habitat-restoration plan for Hammond’s Meadow will be heard by the Montecito Planning Commission on April 18. 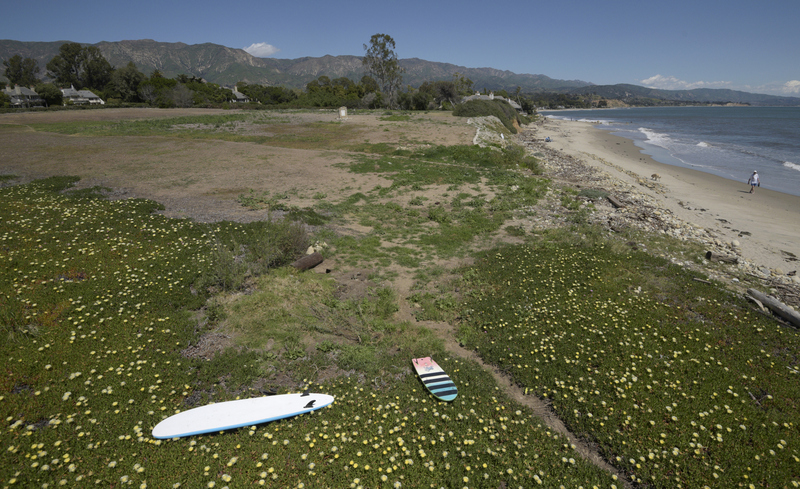 Decades back, the three-acre county property — known to the Chumash as Shalawa and recognized by the National Register of Historic Places — survived surrounding seaside housing development and now maintains special protections against site disturbance. Working with Chumash and County Parks representatives, Channel Islands Restoration — the same nonprofit heading up the sheep-grazing project at the San Marcos Foothills Preserve — aims to restore native grasses, shrubs, and trees and continue with nontoxic weed abatement. The plan also includes moving the existing ceremony circle to a higher vantage point and maintaining the public trail.